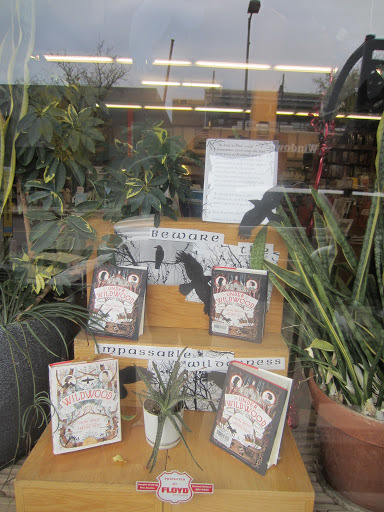 In October we entered a bookseller window display contest for the young reader series, Wildwood and Under Wildwood by Colin Meloy. Though we weren’t the Grand Prize winners (that prize goes to Porter Square Books in Cambridge, MA), we WERE runners up! A nice feather in our caps, I’d say.